Here few simple steps to get calls from companies in U.A.E If you’re a fresh graduate on UAE visit, searching job in U.A.E, living in Dubai or an experienced professional wanting to find employment and relocate to another company for better position or salary, keep in mind certain points to get response for your CV from companies in UAE. Dubai is a vibrant city with many employment opportunities, however the recruitment process is different to that of western countries and understanding it will make your job search a lot simpler. The most important thing to remember when looking for job opportunities in Dubai is that you are presenting yourself to the employer; therefore you have to make yourself a valuable asset that will be an important addition to their company. First and foremost point is demand and supply in the market. In certain cases there are more candidates looking for that particular work, than the number of jobs, the most relevant candidates will be selected for interviews and so it is very survival of the fittest. Companies can afford to be choosy and wait to find better candidate meeting all of their required competencies, rather than settling with someone with a combination of fewer required skills. In this competitive market of demand and supply, leading headhunters in the country believe, there are other problems that could keep you away from the interview call, which can be addressed even in a tough market. If you are applying for jobs that do not match your qualifications or experience, you need to explicitly demonstrate to employers that you a great match despite the odds. Do not leave them to figure it out on their own. It is always better to apply to jobs that suits your profile. Submitting the application for multiple roles in which you are not qualified will result up questioning your abilities and your interview land up in trouble. If employer looking for Arabic speaking candidate, they are likely to interview applicants that meet the criteria. Your CV should not stand alone, almost every application gives you the option to send a covering letter but most candidates not bothered. It’s a mistake because it allows you to show your interest and the effort you are willing to make – many employers ditch the CVs without a covering letter, sending out vague or one generic application for different jobs not good. Take some time and focus on the requirements of the job and the company you wish to apply to and then explain how and why you are suited for it. A strong covering letter is very important to explain your accomplishments and your suitability for the job. Ensure don’t make mistake of making your cover letter bland and uninspiring. Some candidates fail to prepare a strong CV. A poor CV will fail to present you as a professional that the employer may be looking for. Most candidate’s resumes simply list their job duties at each job they've held without a mention of their accomplishments. One common mistake committed by candidates, without checking grammar and spelling mistakes. To maximize chances, candidates should tap into their networks, speaking to friends and family about potential opportunities and referrals, and staying active on social networking sites such as LinkedIn. Most jobs are filled by word-of-mouth, so speaking with a specialist recruiter about upcoming opportunities may also help candidates successfully land a new opportunity. Many candidates make the mistake of networking just to market themselves for an immediate opportunity or to be referred to a company hiring at the present time. Effective networking is a long term give-and-take process that puts you on the inside track in the area that interests you and establishes you in the running for any attractive position that comes up in the future. Sending out applications is just the first step. This should be coupled with regular follow-up to ensure that you have not missed at any stage of the selection/screening process. 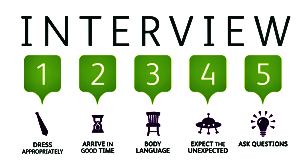 This ensures you make it to the interview stage. Sending a mass mailing of CVs and waiting for the companies to contact you is not an optimal job search strategy. The key is in the follow-up. Plan your follow-up strategy and execute it well. Follow up by phone to make sure the relevant manager has received your CV, follow up again to ask for a meeting and follow up with notes regularly until you have received some form of a response and treat a job search seriously to ensure optimal results.